At Christ Lutheran we know that all who believe in Jesus Christ are called to follow Jesus and learn from Him. Just as Jesus spent time in prayer, study of Scripture, and learning obedience to the Father in times of calm and storm we seek to develop that pattern in our own lives and encourage it in the lives of others. God works through the study of His word, prayer and the togetherness of believers to nourish and transform individuals to be more like Christ. There is no place like a small group for you to experience these things and then take the good news of Christ in you to the world. Financial Peace University is the tool Christ Lutheran uses to train people in the basics of managing money from a biblical perspective. Realizing that debt steals the peace of too many of our friends and neighbors Christ Lutheran is doing something about it. In difficult times we will help you find financial peace through scriptural principles put into practice. Email FPU@clcop.org for For information about Financial Peace University. Confidential assistance is also available. Wondering just where you fit in? We can help. Share a meal with 8–10 people in someone’s home. Guests bring an assigned portion of the meal – main dish, salad, vegetable or dessert. The host provides table settings, drinks, bread and a light appetizer. Just in case you were wondering, you don’t need to host a dinner to participate. Email Groups@clcop.org for more information. If you love food, golf and Jesus and want to meet others who feel the same, don’t miss this! Come meet some people you might want to spend time with in a small group, focusing on God’s word, caring for one another and serving others in Jesus’ name. Nine holes of golf with Jesus in the mix could transform your life! Email Groups@clcop.org for more information. Our Purpose: To provide opportunities for women to gather in Jesus’ name for fellowship, service and encouragement. Email M2W@clcop.org for more information. 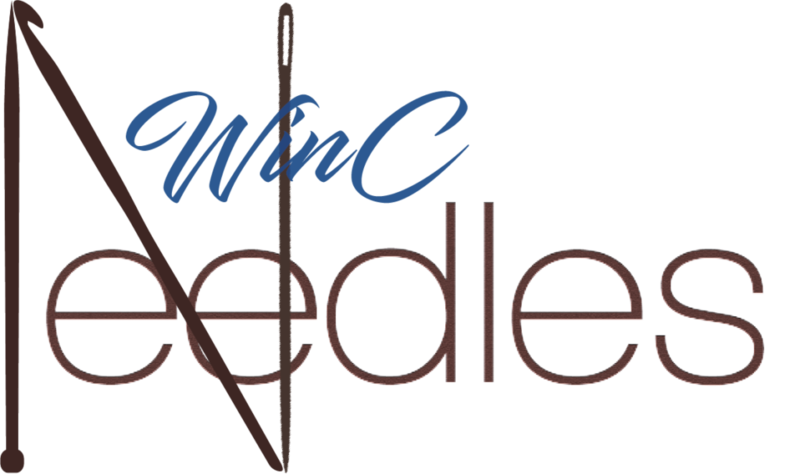 We welcome all needle crafters and would be needle crafters to join us the 1st and 3rd Tuesdays of the month at 2pm in the lobby. Our pet project is making prayer shawls for Care Ministry but we welcome you with whatever project warms your heart. We are women who like to read and discuss a variety of books. Forging Christ-centered relationships that strengthen men in our call to lead, serve and minister in our families, workplace, church, community and the world. 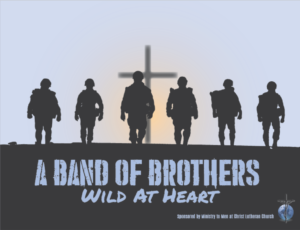 The heartbeat of Ministry to Men at Christ Lutheran Church is that men are strengthened and encouraged to grow in their walk with God in such a way that they love and lead their families as a Christ-like servant leader. As men, our identities are often in our job or career. We can lose sight of the importance of how vital our walk with God is and how much a relationship with our brothers in Christ can strengthen and encourage us. The Ministry to Men strives to provide regular large group events where all men of CLC and their guests are invited to have fellowship, worship, and hear testimonies from fellow CLC brothers as well as guest speakers whose ministry or story provides biblical wisdom and truth that challenges us to grow as a Christ follower. Email M2M@clcop.org for more information. Sundays @ 9:30am, in the Commons – This is a large group study featuring speakers from the RightNow Media Conference including Matt Chandler, Pete Briscoe, Bianca Juarez Olthoff and more! This study will be lead by one of our elders, Scott Brinkmeyer, who attended the conference in November. This conference was a true blessing with all the different teachers we experienced. We look forward to sharing it with the congregation. Sundays @ 9:30am, in Room 146 – The Bible, reading it makes a difference in daily life because through it we learn life-changing truths about ourselves and about our God. The class will give you background on each book, its author and how it relates to God’s amazing plan of salvation by grace through faith in Jesus Christ as well as how it fits chronologically with the rest of the Bible. The Bible Reading Guide will lead you through the incomparable source of clarity and understanding we have in this world – God’s Word. Pick up your copy of the Bible Reading Guide during class on Sunday mornings, at the Together Point desk or from the church office. Sundays @ 9:30am, in Room 103 – Young families study the Bible together. Email YoungFamilies@clcop.org for more information. Each of us has a life story. Older or younger, married or single, whether things are going well or not so great right now, we all have one thing in common: Our story is still in progress. Join us in Timothy Group (Post college through age 35) as we explore our Life Story and what God has to say about it. We met every Sunday at 4:30pm. Email TimothyGroup@clcop.org for more information. MOPS – Mothers of Preschoolers is a place for mothers of little ones from birth to 6 years old to find friendship and encouragement. MOMSNEXT - was created to include and encourage moms of preschoolers and elementary aged children. Email your questions or interest to MOPS@clcop.org. Focused on making and building connections for those 55 years young and up! 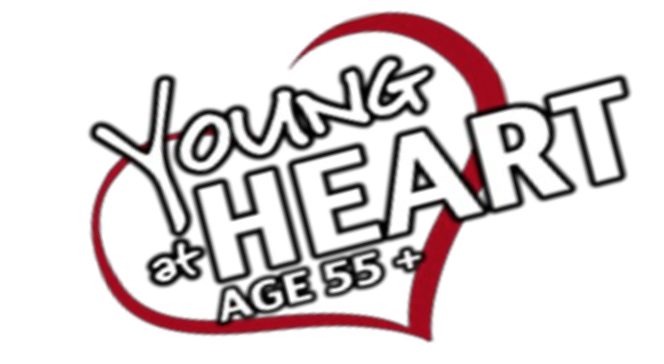 Meeting every other month, Young at Heart members plan get-togethers, service projects, dinners, socials, day trips, and nights out. Email CareMinistry@clcop.org to volunteer or if you have any questions.